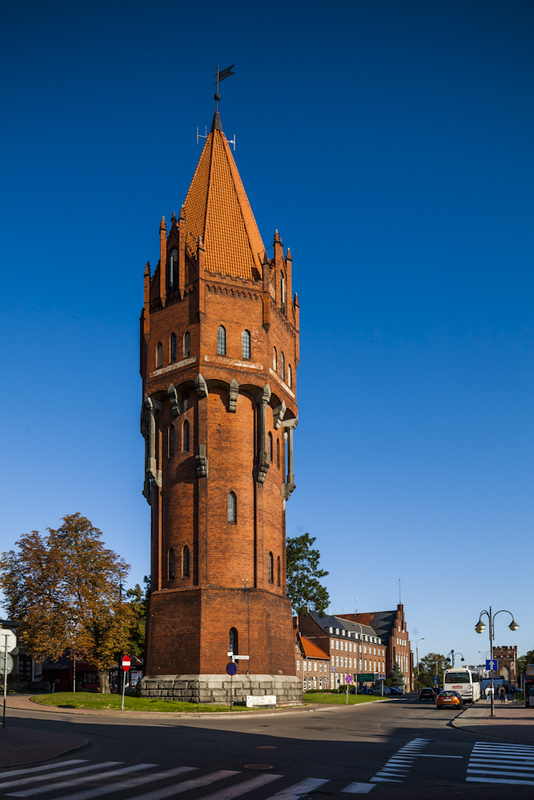 The water tower in Słowiański Square in Malbork was erected at the time of the construction of water piping in the town. The tower is made of bricks and occupies a tall octagonal stone plinth. The tower is cylinder-shaped, with narrow pilasters at the quoins. It has three single space storeys with a water tank still in operation, and a spiral staircase.